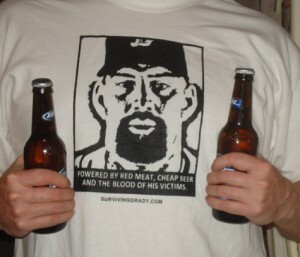 The Surviving Grady Podcast: Who’s the Toughest Guy on the Red Sox? It's not who you'd think. Or is it? 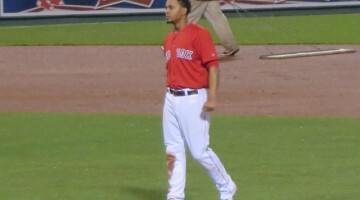 If you have twenty minutes of your life to waste — yes, twenty freakin’ minutes — might we suggest the latest Surviving Grady podcast, in which Red and Denton use unscientific, schoolyard methods to identify the toughest motherflipper on the Red Sox. Because there’s some “language,” we have to warn you: It ain’t safe for work. UPDATE: Silly as we are, we forgot to include Lackey in this massive pile-up. But we’re certain that Beckett would lay him out. Just a suspicion.